I have quite a few zucchini’s growing in my vegetable patch, which I am so surprised with how quickly they have grown, considering we only planted the seedlings just before Christmas. I’ve been making lots of dinners with them, but I also like to sneak zucchini into my baking, our favourite to date is the zucchini brownies. Honestly, if it wasn’t for the green flecks the kids wouldn’t know they are eating zucchini, it doesn’t add a funny taste, I have found that it makes the brownies and muffins lovely and moist. I’ve baked these up and put them in the freezer to pack into the kids school lunches. Check out my Lunch Box Recipes Cookbook for recipes to help fill your freezer. Line a 12 hole muffin pan with muffin cases. Combine flour, sugar, and cinnamon in a bowl. Create a well, add egg, oil, milk, lemon juice and vanilla and stir to combine. 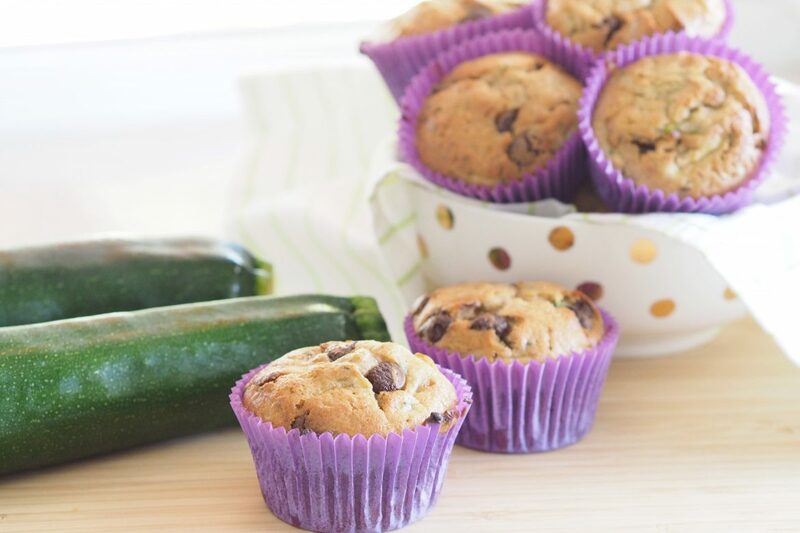 Fold zucchini and chocolate chips through the mix. Divide mixture among muffin cases and bake 18-25 minutes. 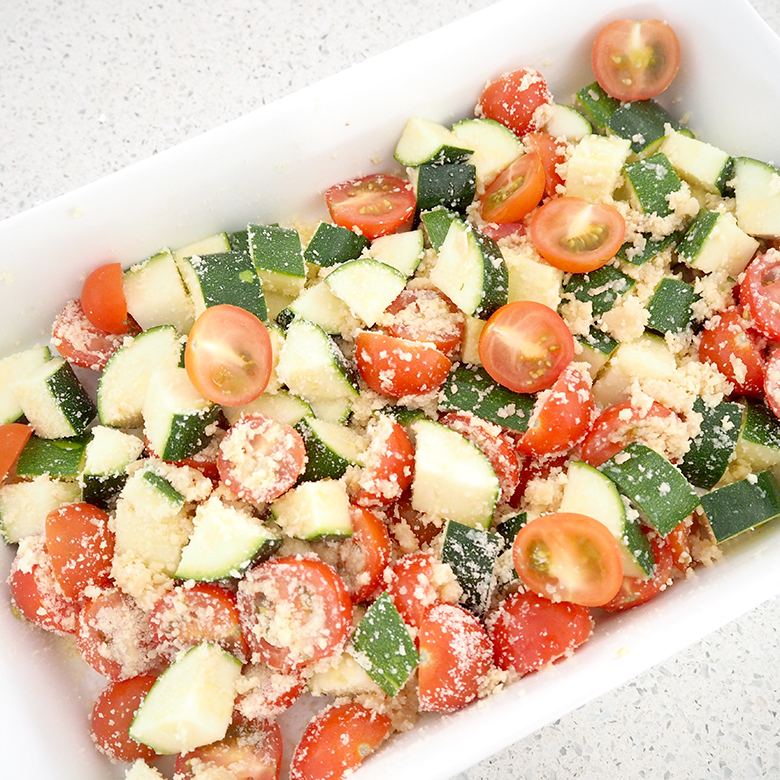 GARLIC PARMESAN ZUCCHINI AND TOMATO BAKE – This recipe for Garlic Parmesan Zucchini and Tomato Bake is a delicious side dish, giving some vegetables a tasty twist. 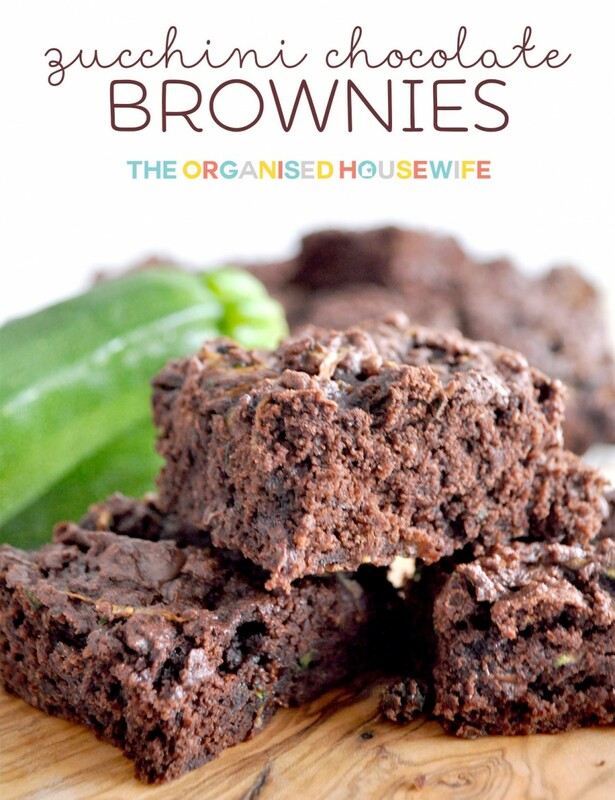 ZUCCHINI CHOCOLATE BROWNIES – Sneaking in the zucchini makes this brownie rich, moist and ooh so yummy. Your kids won’t even realise this brownie is a little healthy too! 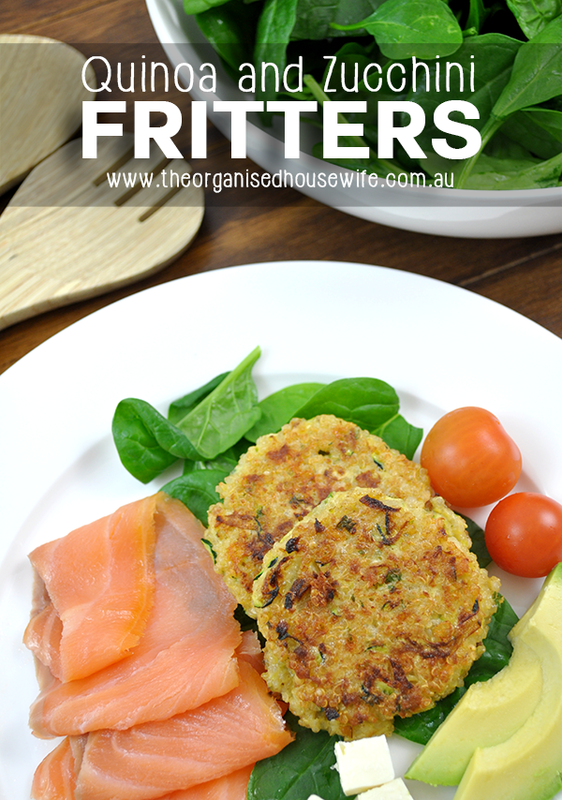 QUINOA AND ZUCCHINI FRITTERS – Teamed together with the smoked salmon, I was in heaven and even more happy because there were left overs and I called dibs!! I find these are better warm or cold, rather than eaten straight from the pan. this looks good and I’m going to make these this afternoon, thanks Kat. 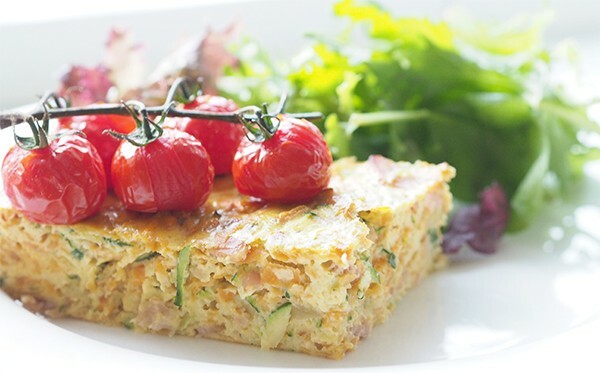 yum, thanks you for sharing this recipe, I like to be able to sneak vegetables into muffins and biscuits too. My kids bitterly complained when I said there was zucchini in these muffins but once they came out of the oven, they devoured them. Now they are a favourite lunch box treat. I made these muffins this afternoon because I had zucchinis that were otherwise going to go to waste, and I figured they were worth a try. The recipe felt weird to make (definitely not a combination I would ordinarily have mixed together — who comes up with this stuff?! ), but they turned out so well! Could definitely taste the cinnamon and the chocolate, and none of the zucchini. Next time I’d use less sugar because they were a bit sweet for me, but will certainly be making these again.